7 tricks to help you wash hair less and still look amazing - The Co.
Not because I have nothing better to do with my time, but because I look like a greasy, disgusting mess if I go more than 24 hours without scrubbing my hair. But every once in a while, when I’ve stayed up too late the night before looking for more spaghetti squash recipes, beauty tips to make my face look thinner, and summer activities to do with kids, I just cannot be bothered to drag myself out of bed at 6 am to shampoo, condition, blow-dry, and style my hair. Like contemplate another Brazilian wax. And since I try not to be selfish when I find new and exciting ways to make my life easier, I’m sharing 7 easy tricks to help you prolong a hair wash and still look amazing. 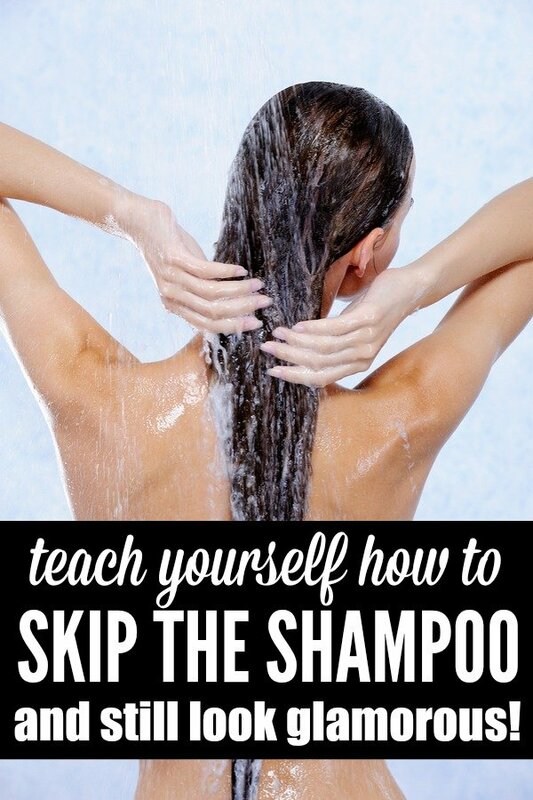 For years, I figured this was simply because stylists use shampoos and conditioners that cost more than our monthly mortgage payment, but after reading these tips on how to wash your hair the RIGHT way by Daily Makeover, I realized how many mistakes I’ve been making. Like applying conditioner to my ENTIRE head, rather than just to the ends of my hair. How did I not know that was a bad idea? Anyway, do yourself a favor and give the article a read. You’ll be amazed at how many things you’re probably doing wrong! My hair stylist has been telling me to stop washing my hair every day for YEARS, but it wasn’t until I read these tips and tricks to train your hair to be grease-free and gorgeous by Michelle Phan that I truly understood how damaging frequent hair washing can be. Not only does it strip hair of it’s nutrients and natural oils, but it can also lead to horrible things like hair breakage, brittle strands, dullness, and dry scalp. The only problem is, hair products can contribute to unwanted greasiness, so if you’re trying to prolong a hair wash, do yourself a favor and avoid greasy hair serums altogether, and be careful not to apply straightening balms, volumizing mousses, and curl-defining sprays too close to your scalp. Oh, and if you have problems grasping the whole “less is more” phenomena like I do, check out Hair Products: What, Why, and How-To by Into The Gloss to find out JUST how much you should be using. Do you touch your hair a lot? But here’s the thing: the more you touch or brush your hair, the more greasy it will become. So keep your hands to yourself! It’s an awesome way to remove excess grease from your hair between hair washes, and it also adds texture to your hair so it will hold a curl. I prefer Oscar Blandi Pronto Dry Shampoo, but there are heaps of other options out there. Check out this awesome list of the top 10 dry shampoos by BIRCHBOX to figure out which one is the best for you. And if you’re new to the world of dry shampoos, give this list of 9 dry shampoo do’s and don’ts by BIRCHBOX a read as well. Once I’ve applied dry shampoo to my locks, I like to spray a small amount of water to my hairline, and then blow dry my hair away from my face with a round brush. This process only takes a couple of minutes, tops, but goes a long way in giving my hair that “just styled” look I love. So plug in that flat and/or curling iron and give your look a little touch-up before you leave the house. This is an excerpt from the article 7 tricks to help you wash hair less and still look amazing which originally appeared on http://www.cloudywithachanceofwine.com/. 2016 Beauty Trends for Gals over 40 – Do’s and Don’ts.